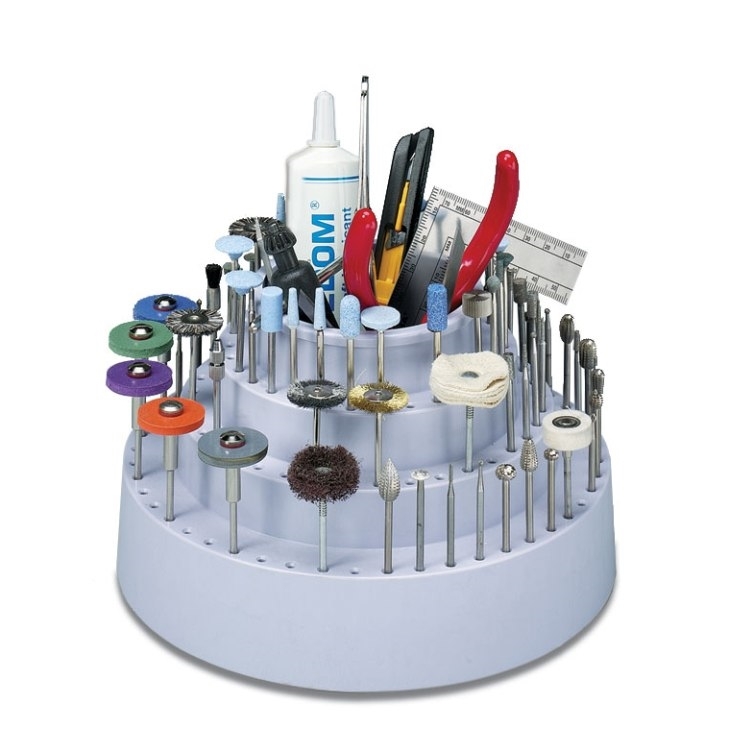 Rotating Bur Holder. For 3/32" Burs and Small Tools. Stores and organizes 114 3/3" burs. Measures: 6 1/2" wide by 4" high and has a center cup (3" deep x 2 3/4" dia.) 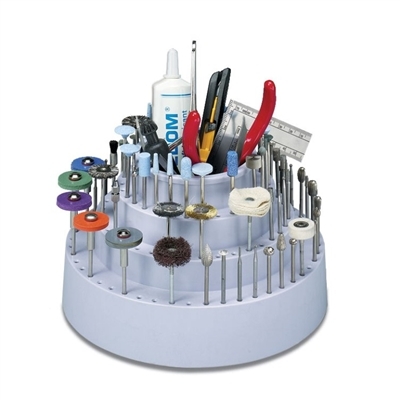 to hold small tools such as files, scribes & screwdrivers. Burs not included.